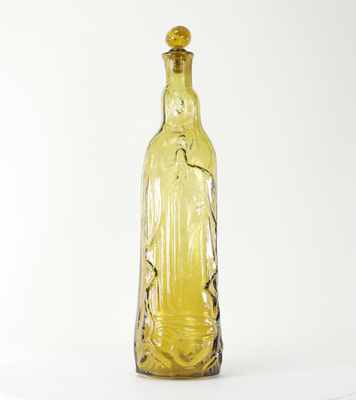 Statue of Blessed Virgin Mary in the form of a yellow glass bottle with stopper. Mary's whole body makes up the body of the bottle with a removeable stopper at the top. This statue is part of the Cecil and Desha Coil Statue Collection donated by Helen Zechar.